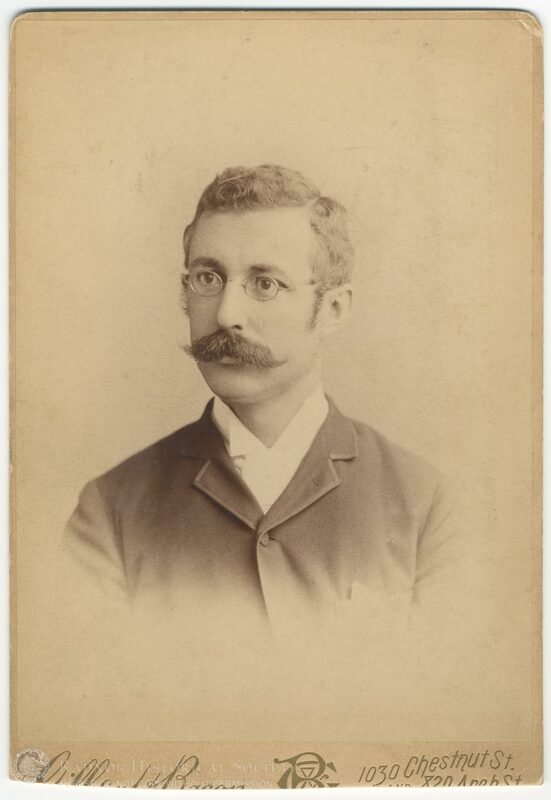 Photograph of Dr. Charles D. Smedley. On the back, written in pen: "Yours Truly / Charles D. Smedley, M.D." Photographer's stamp (very elaborate) on the back: "Gilbert Bacon" Photographer's stamp also on the front, below photograph (stamped on the mount) in gold letters: "Gilbert Bacon -- 1030 Chestnut St." The rest has been cut out.